Mix into food as directed by a healthcare professional. Refrigerate after opening. This is a potent product. Start with a very small amount and increase as needed. My dog has autoimmune Crohn's and is on very strong dangerous medicines which have helped a lot but I found that by adding the Acidophilus his soft stools are more cohesive and easy to pick up, which is a big help since he is quite old and doesn't have bowel control anymore to go outside. He is on metronidazole twice a day which is an antibiotic for the gut because he has bacterial overgrowth yet the acidophilus I give him with his dinner still helps and is not cancelled out by the antibiotic. I am very pleased to have found this product. I tried two other dog probiotics before this one and they did nothing. My 15 month old Lab has not had a "calm gut" longer than two weeks his entire life until I put him on your Lactobacillus Acidophilus. It is unbelievable! My friend/training partner Bonnie Day is responsible for introducing me to your products....I have told so many people about your line. You are truly an asset to the pet world and human world. Thanks for all you do! Our little man had a tough go of it recently with 2 surgeries. His stool was soft, appetite off. This product worked…..and fast. Normal stools within 2 days with only a pinch of this product on top of his food. I understood but was still amazed. He's a new man! Would give it 10 stars! Very happy with this product- my dog's rumble tummy had settled done a lot on it. 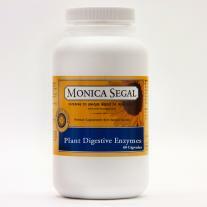 I will be trying out the digestive enzymes next! It took one day of using this product to stop my dog's gas and 2 days to firm up his poop. It's like no other product I ever tried and think we tried almost everything out there.